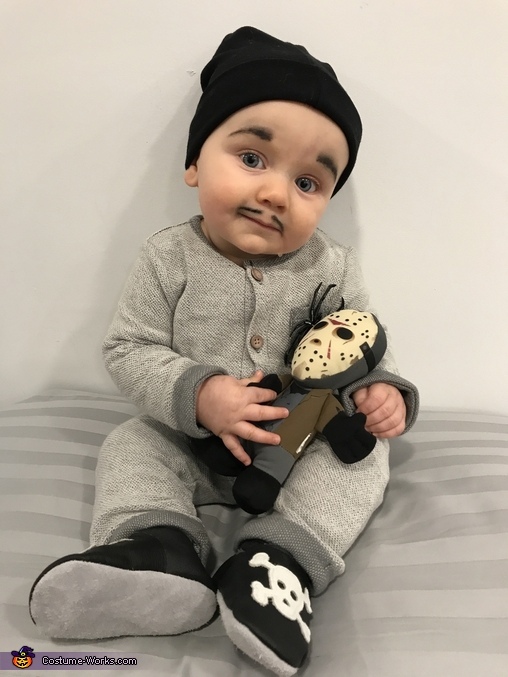 My 6 month old son, Ben, is wearing a diy Pubert Addams costume. I've always love the Addams family and I'm a huge fan of Halloween so the minute I knew I was having a boy I picked this costume. It was fairly easy to make the tough part was getting the eyebrows and mustache on!